The most fun to use your webcam. ManyCam is a software for fun with a webcam because you can add different image filters or masks on the image in order to create all kinds of funny videos and share them later with your friends via Internet. The application has a library full of hats, glasses, wigs, eyes and scars , among other things, in addition to having several special effects of the worst films of series B. The interface is pretty simple and you will be able to fully benefit from the application because all menus are visible to the user, and you can see almost all the tasks available on the main window. On the official website there are several supplements to easily add software to be able to have new masks in minutes. 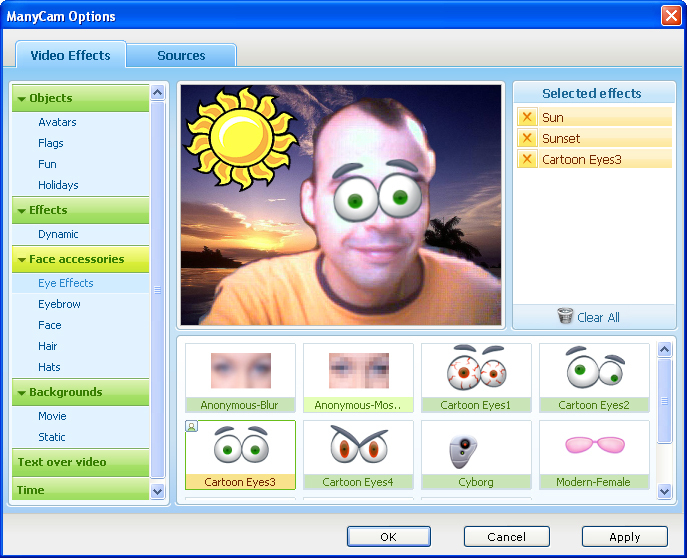 If you are looking for software for fun on webcam and more, completely free, download and install ManyCam .